Since my last blog post, I have received a further six beautiful blankets – one from Linda Baker over in Portugal, one from Mary Gordon my friend from my Thames Ditton days, and four blankets from Tamika Joyeux. 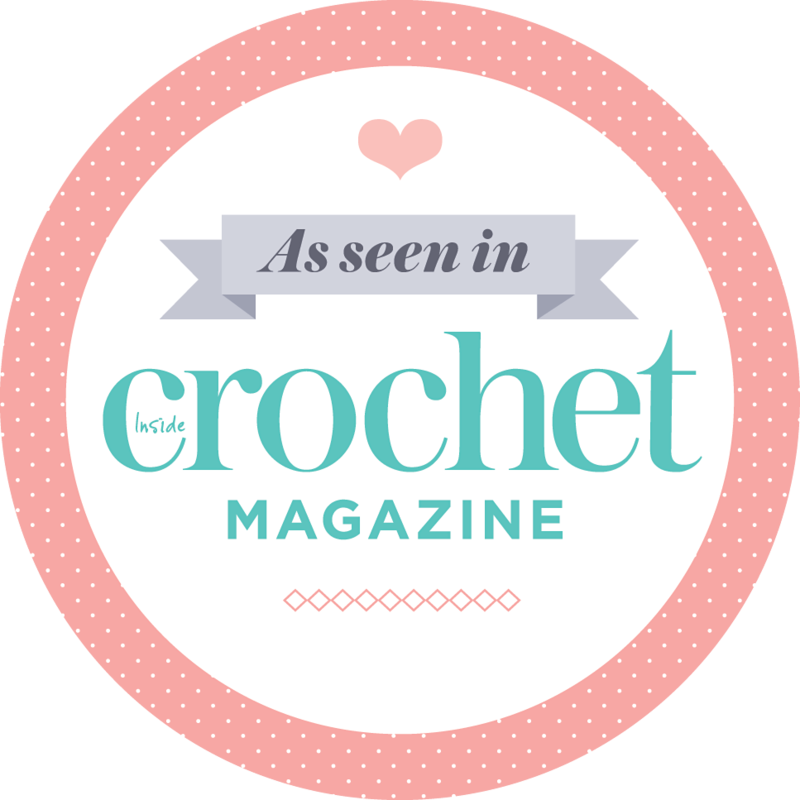 Yes, you read that right – four blankets from one crocheter! Here is the first of Tamika’s blankets: rows of colour seperated with rows of white. I love the fresh look of this blanket. 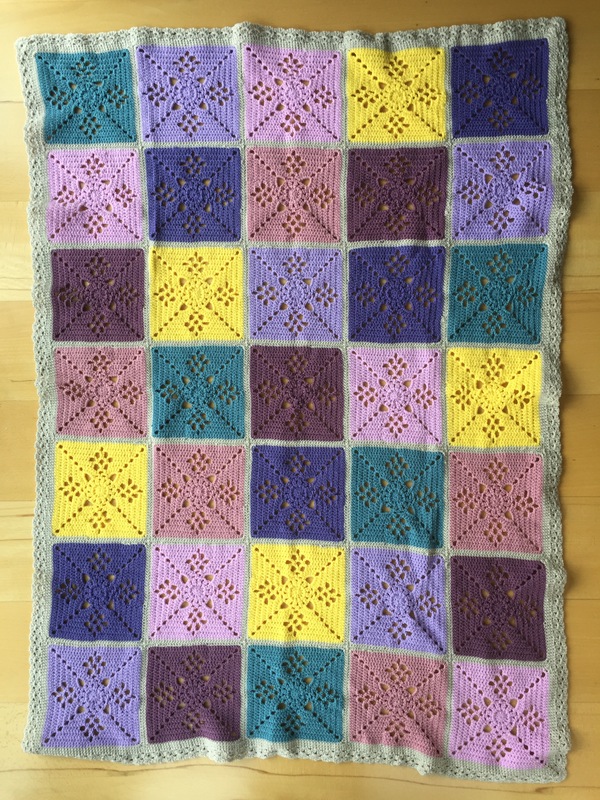 Tamika’s second blanket is a beautiful lacy square in dusky shades and light grey. Those yellow squares really pop! Another striped blanket from Tamika, but this time is a crazy random stripe colour explosion. Tamika’s fourth blanket is totally different again. This one is hexagons in blues, purples, pink and black. I’d love to see Tamika’s yarn stash! Looking at these four blankets she is a huge lover of colour! Linda, a friend of Barbara Boothman, had a tough time finishing this delicate blue blanket due to arthritis in her right hand setting in, and the design being much more work than she had anticipated. Thank you very much Linda for persevering despite these challenges, I really appreciate it! 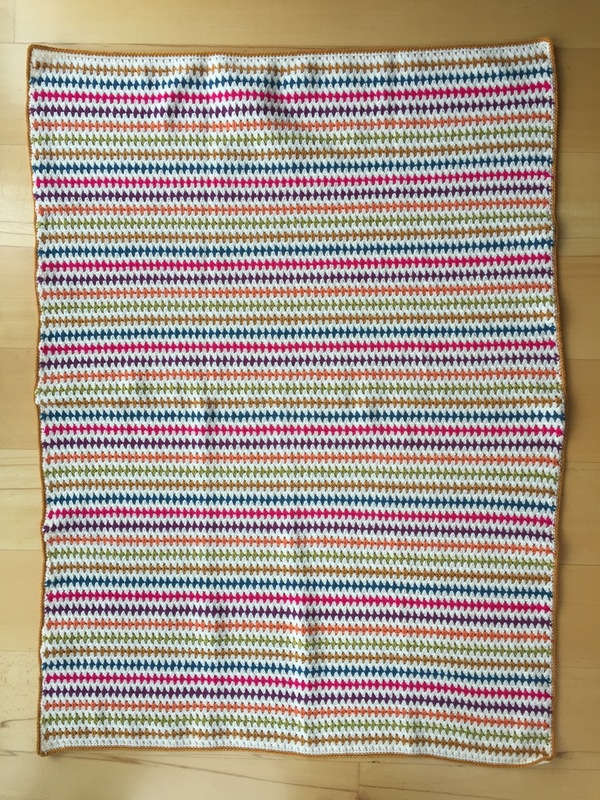 The last blanket for this week comes from Mary Gordon. 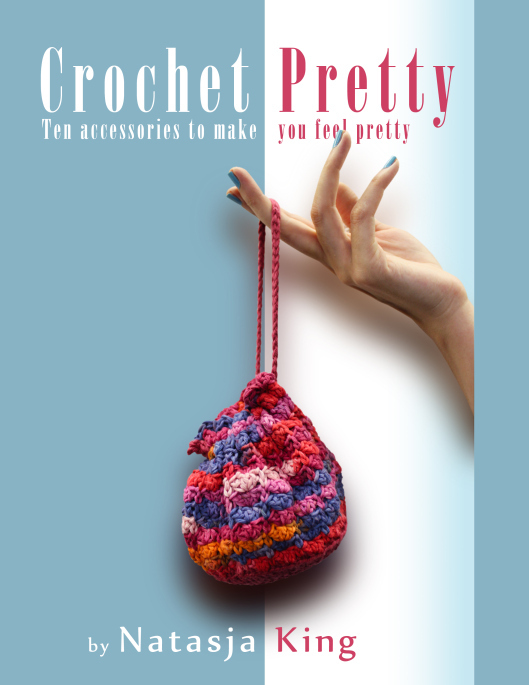 Mary lives in Thames Ditton (where John and I lived when we started Crochet For Kidneys) so she is one of the very first contributors to CFK. I met up with Mary at Carluccio’s in Waterloo station on Saturday to pick up the blanket (and to catch up on all the Thames Ditton news.) I just had to open up the blanket and admire it right there in Carluccio’s because I know the kind of quality crochet Mary produces and she did not disappoint! It’s another masterpiece. Last year Mary’s blanket was inspired by the Rainbow. 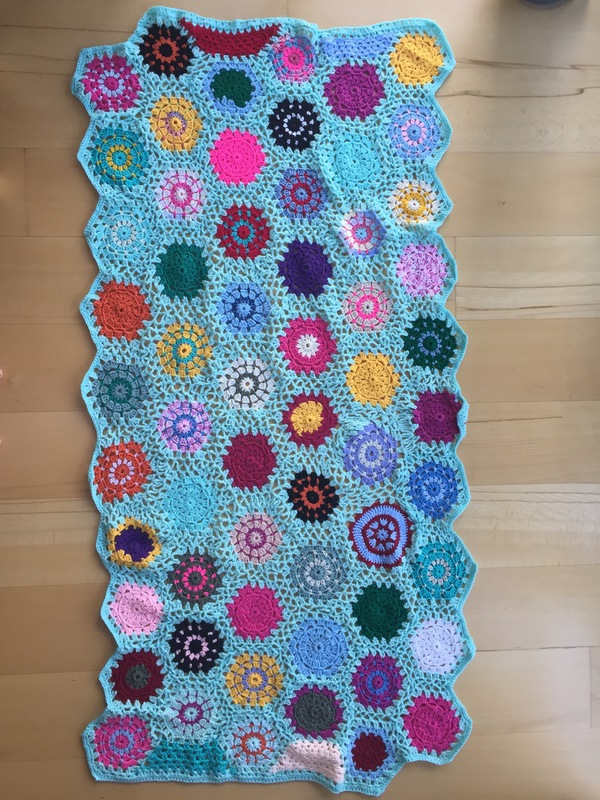 This year she found inspiration from a Kaleidescope, which this blanket definitely depicts. She nailed it! Mary started work on her blanket in June when she was crocheting the central white circles during a train journey through Italy. Mary wrote on the tag attached to the blanket: “A kaleidoscope of colour to brighten the day.” So lovely! So with these six beautiful contributions from Linda, Tamika and Mary we have 26 blankets for the Royal London Hospital. Once I’ve managed to finish my autumnal blanket, we will have exactly the same amount of blankets as last year. That’s super! Now I just have to finish that chevron blanket. It would be a travesty if the organiser of CFK5 causes us to have fewer blankets than for CFK4! Well done to everybody. You did yourself proud, proving once again that it is indeed better to give than to receive.